Know that Father's Day 2013 is near? Clueless on how to make that special day even better? Well, now you can with "MY SUPER DAD" Photo Contest! 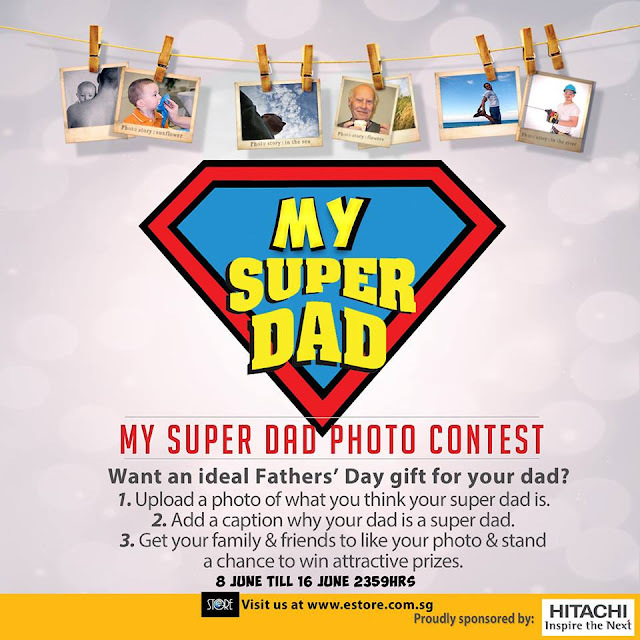 Join this really simple contest now and win yourself and your dad movie passes and a Hitachi DS 18DSL, 18v Li-Ion cordless Driver Drill with adjustable clutches power tool worth S$400.00! Scan QR Code to know more about our sponsor now!